I remember those first few nervous days of being in a classroom with what felt like a TON of new kids I had never met before. I was definetly a shy kid-you know the one who would hide behind mom when she introduced you to someone new, yup that was me! Luckily our oldest son, Angel is the complete opposite. In fact I call him Mr. Social….he has this amazing ability to talk to anybody. He is loving kindergarten and thriving in his new school. 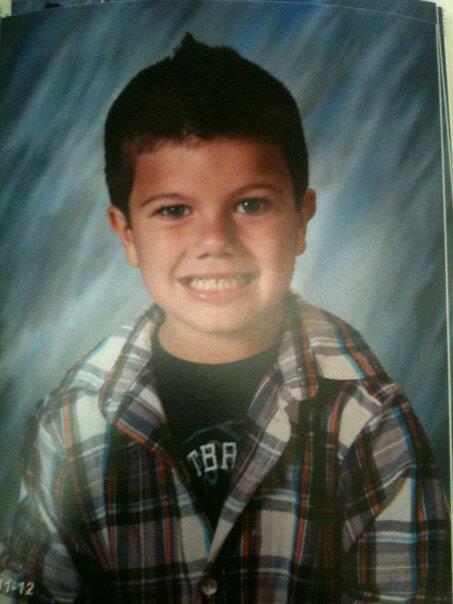 Here is his Kindergarten pic, enjoy! What is your fondest Kindergarten memory?